My family and I took a wonderful trip to Grand Cayman, the largest island in the Cayman Islands. Like most islands, Grand Cayman has many endemic plants and animals, species that are found no where else in the world. 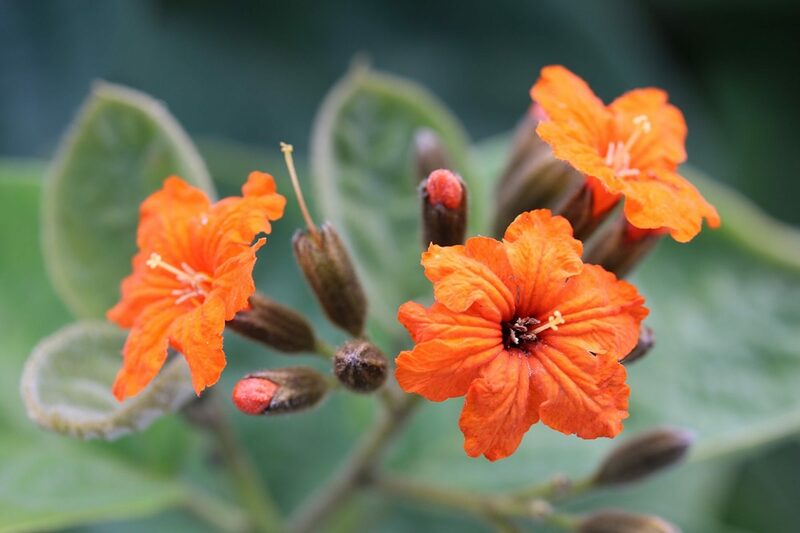 One endemic plant variety is the Cayman broadleaf or Cordia sebestena var. caymanensis. The Cayman broadleaf is in the Boraginaceae or the forget-me-not family. This family includes borage (Borago officinalis), comfrey (Symphytum spp. ), and many species used as ornamental plants. Species in the forget-me-not family have scoripoid inflorescences or curled flower clusters in which the oldest flowers open first. The Cayman broadleaf is found on all three islands of the Cayman Islands (Grand Cayman, Little Cayman and Cayman Brac). Unfortunately, the spread of tourist and residential developments, and the increase in invasive species on the islands has decreased the habitat for this plant, causing it to be listed as vulnerable. Unfortunately, the population is expected to decline 25% to 48% in the next three generations (The International Union for Conservation of Nature Red List [IUCNRL]: Cordia sebestena var. caymanensis). The habitats for the Cayman broadleaf are beaches (they have high salt tolerance), dry deciduous forests and shrubby areas. The variety is sometimes used as an ornamental tree but the more common variety Cordia sebestena var. sebestena (found from Florida down to South America) is used more often (IUCNRL: Cordia sebestena var. caymanensis). A variety is the taxonomic rank below species and subspecies that usually describes unusual physical characteristics. Cordia sebestena var. 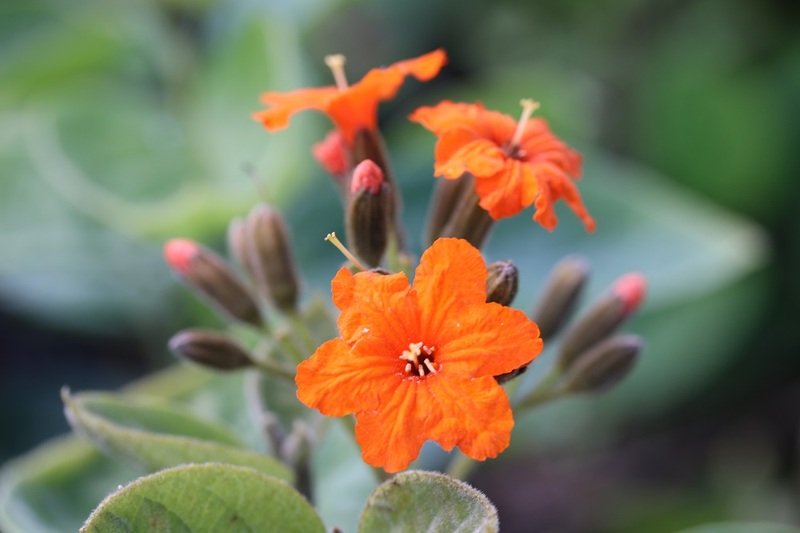 caymanensis have rounder leaves and smaller flowers than Cordia sebestena var. sebestena (Proctor, Flora of the Cayman Islands, Second Edition, 2012). The rough leaves were used to polish turtle shells and drinking glasses (IUCNRL: Cordia sebestena var. caymanensis). People also used the leaves to make a tea to ‘cool the blood’ too (Queen Elizabeth II Botanic Park). 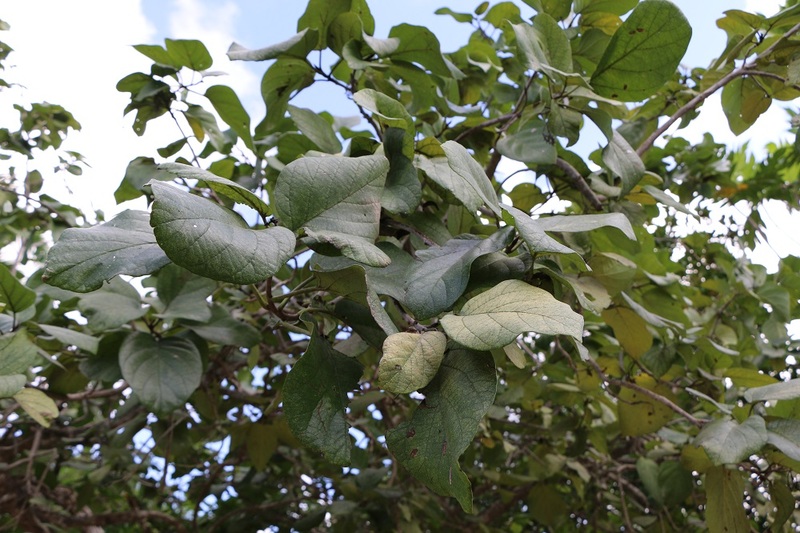 They produce a white fleshy fruit which is edible but not as delicious as it smells (University of Florida, Lee County Extension: Cordia sebestena).